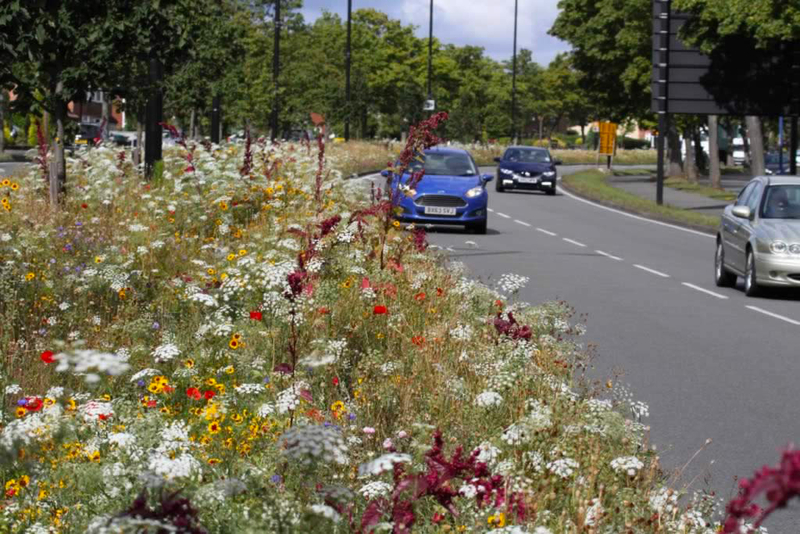 Pictorial Meadows were commissioned in 2014 to carry out extensive ground preparation and sowing of annual Pictorial Meadows seed mixes for roadsides and central reservations. 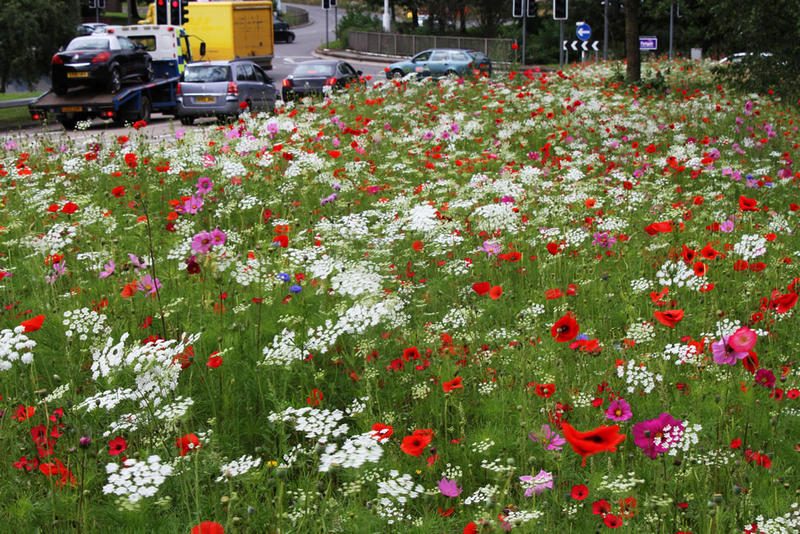 This work included 5,000 square meters using Pictorial Meadows ‘Classic’. 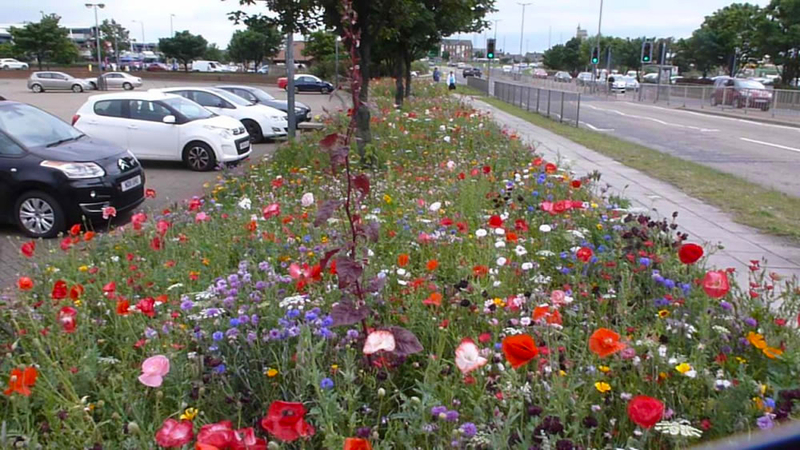 The response from residents and visitors was extremely positive. 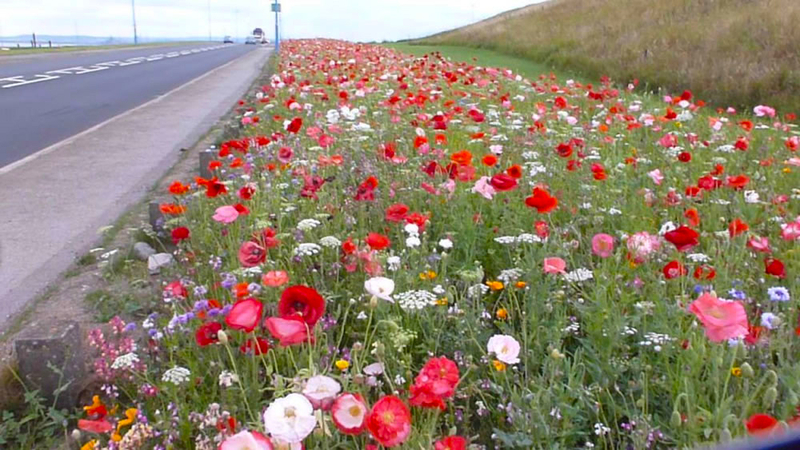 Following the first year result (brilliant visual appeal and significant financial savings) Hartlepool Council extended the display in 2015 to 23,000 square meters of highways – again using the ‘Classic’ mix. 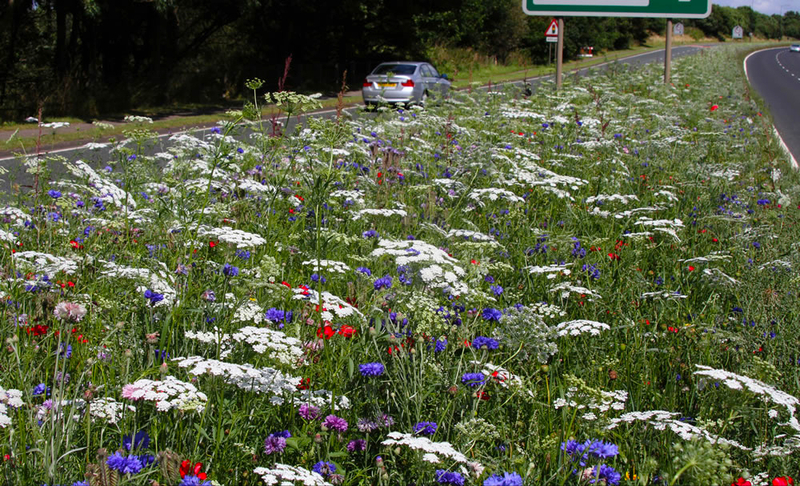 Just one of many local authority and council success stories that Pictorial Meadows have been at the heart of across the UK. 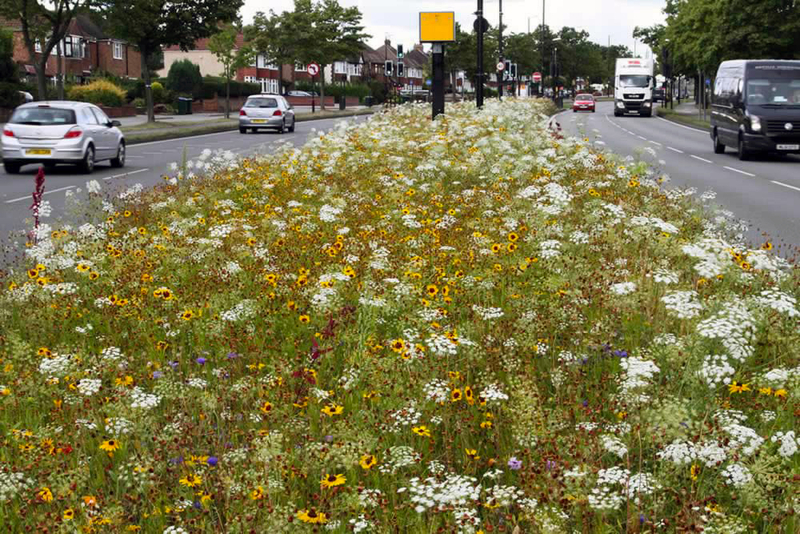 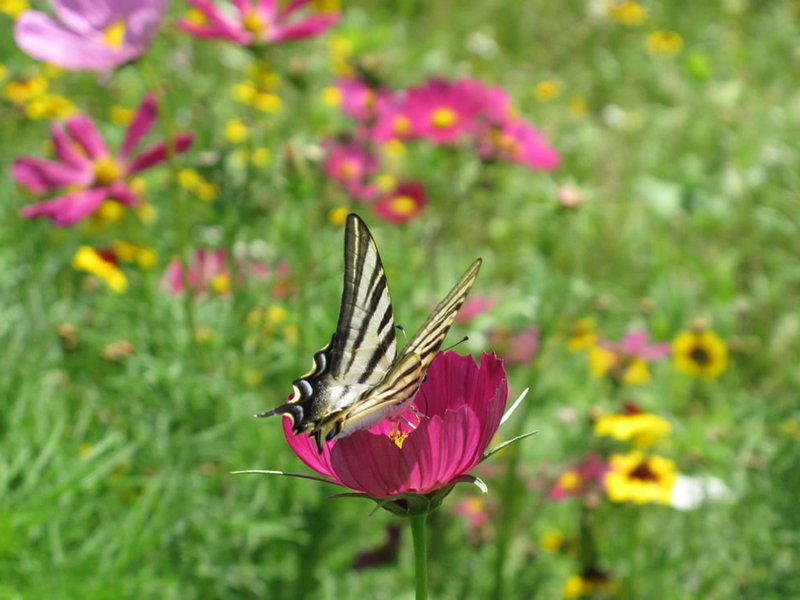 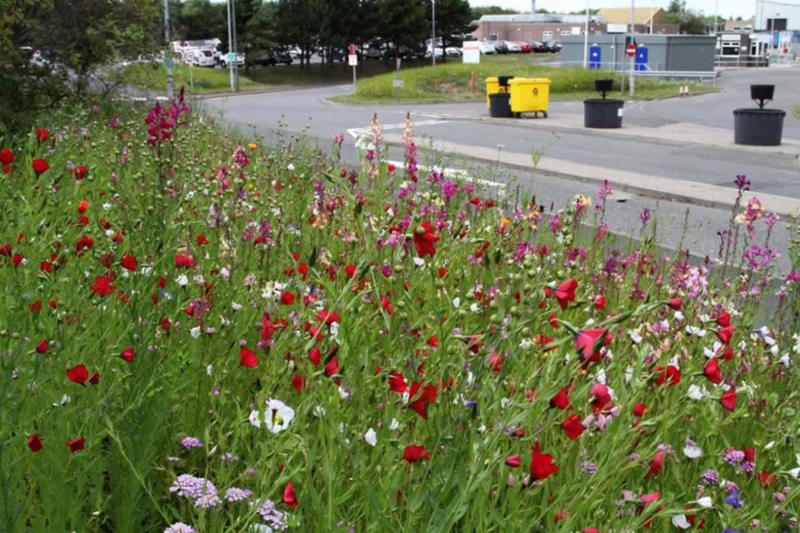 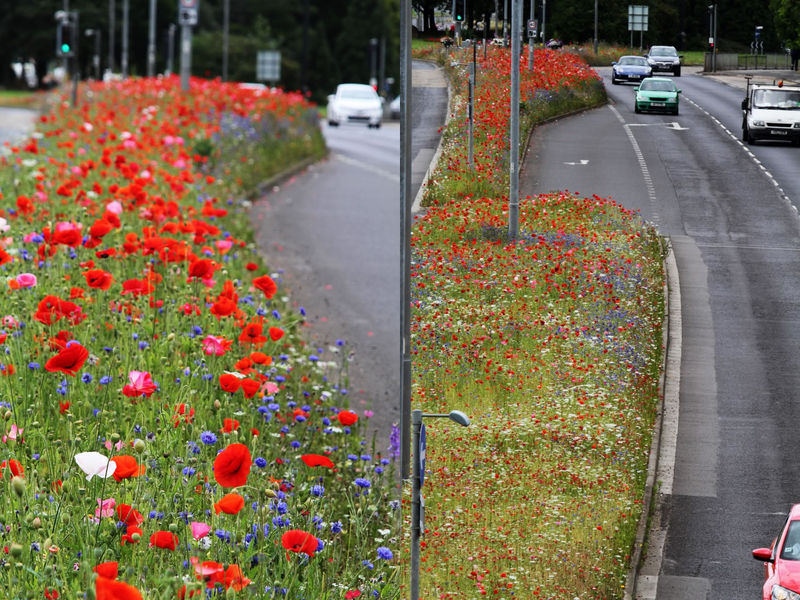 Pictorial Meadow annual mixes were trialled in both parks and highways throughout the City in 2014. 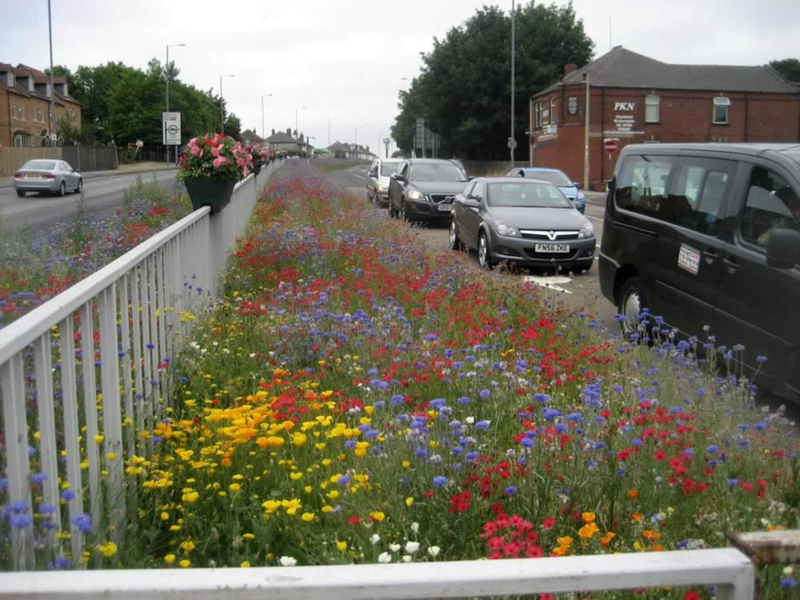 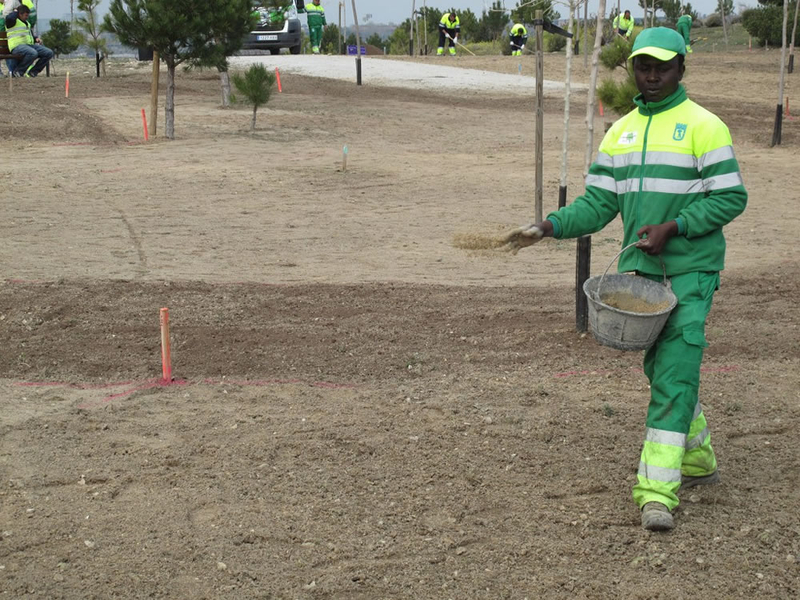 The aim was to reduce maintenance along the highway but with all the added value of flowers and providing some inspiring planting for their traditional parks. 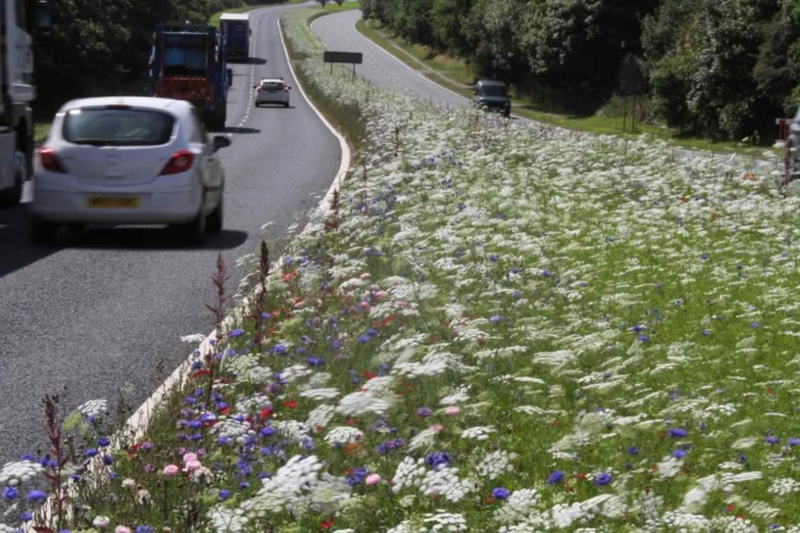 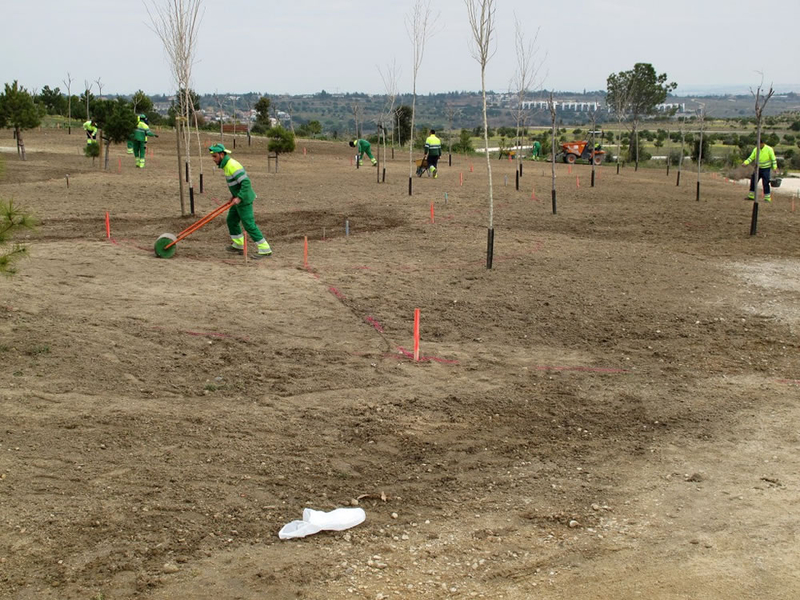 Three highway locations and four parks were chosen as test sites and were sown with our ‘Classic’ and ‘Pastel’ mixtures. 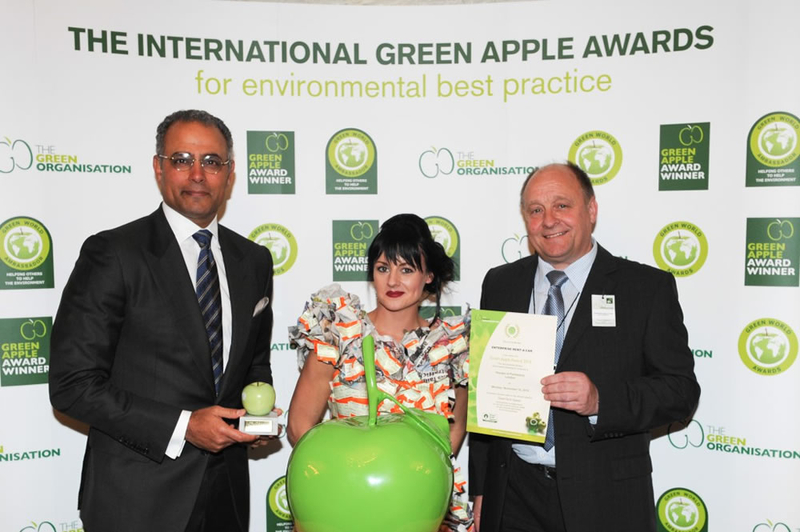 As a result of the success of the new meadows, the Council received a barrage of compliments and went on to win a Gold award at the International Green Apple Awards. 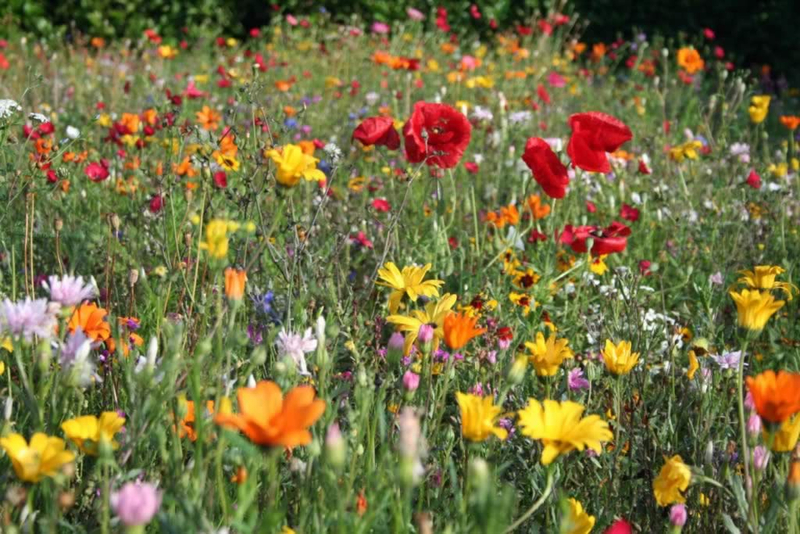 The strategy the Council and Pictorial Meadows took to deal with such large areas, over 14 hectares of grassland!, was to only sow the front edges of the grassland with annual meadow seeds and allow the grass to grow longer at the back where it was largely hidden by the flowering spectacle in front! 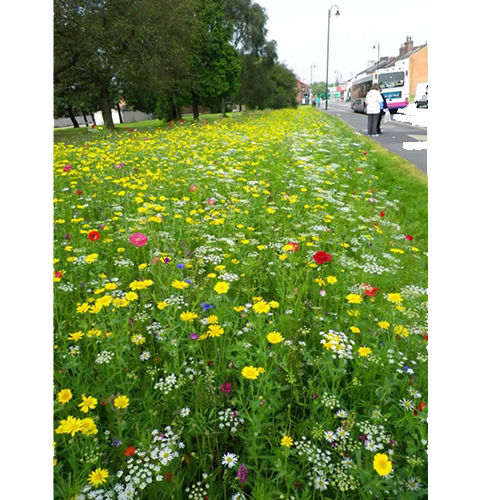 2015 was the second season that the Council have used Pictorial Meadows seeds as part of their cost-cutting exercise to reduce the expense of gang-mowing their grass areas. 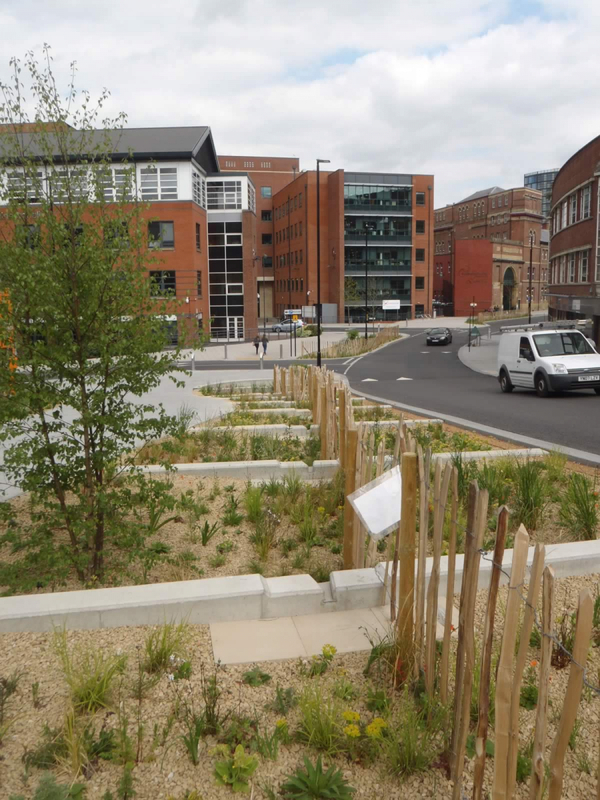 Sheffield City Council had over 300 hectares of brownfield sites awaiting housing redevelopment. 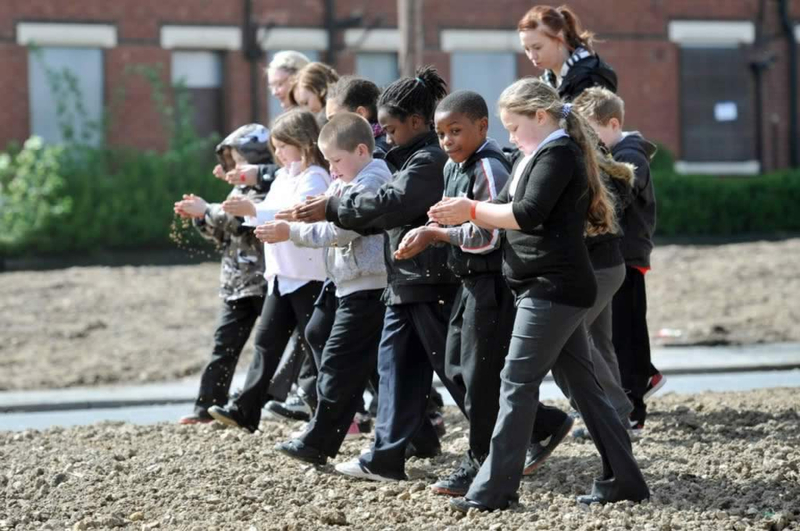 These sites were magnets for fly-tipping and antisocial behaviour. 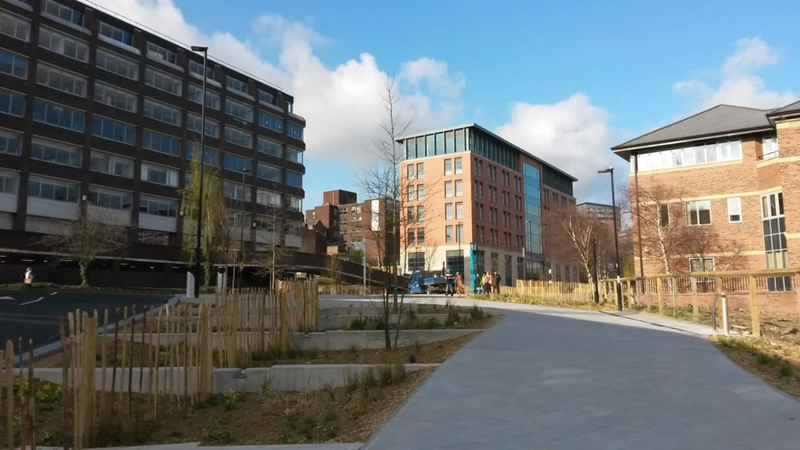 The quality of life for residents still living in the areas was low as was the developers’ confidence in building there. 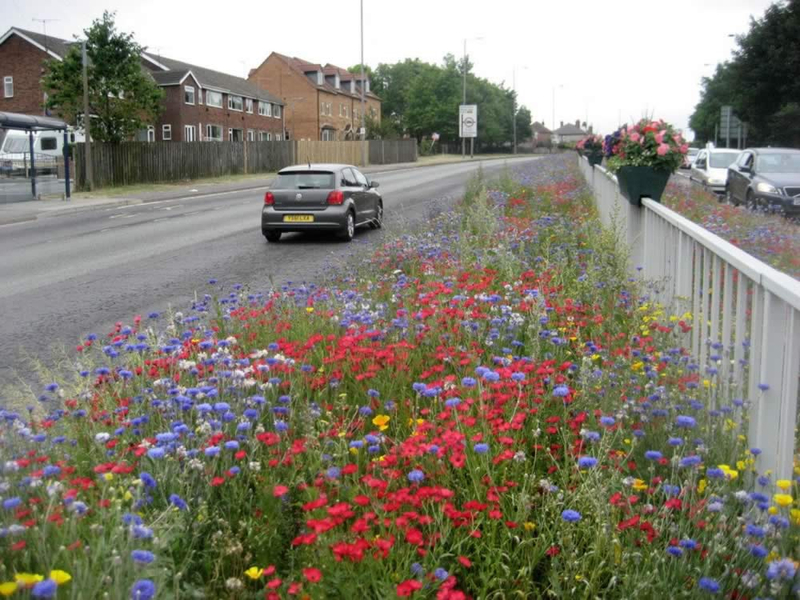 This project formed the catalyst for the Pictorial Meadow solution. 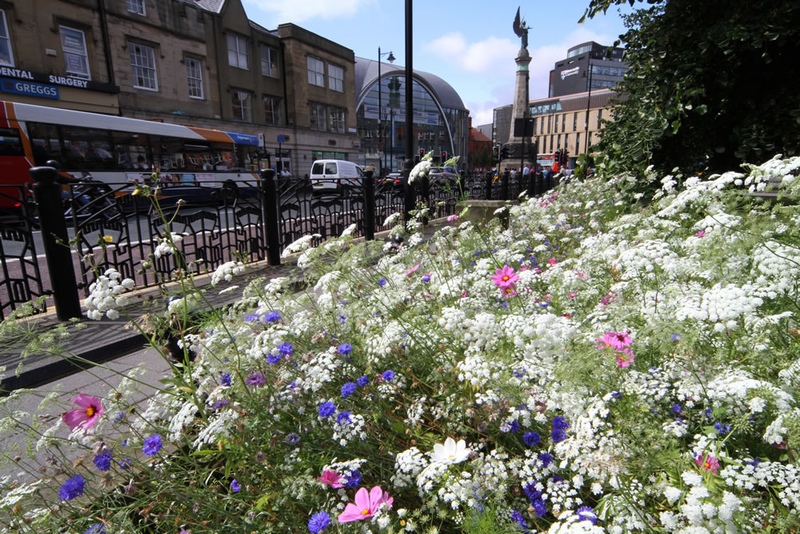 Taking the ideas and research from Professor Dunnet out into the most demanding and challenging public realm areas existing. 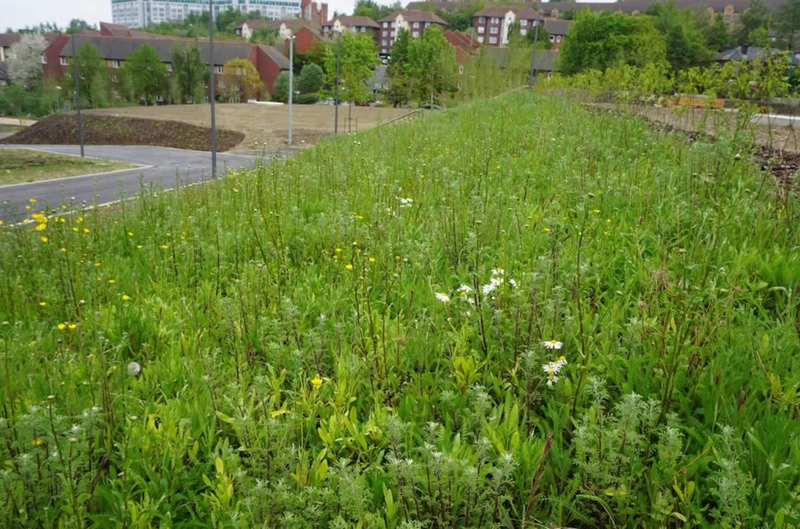 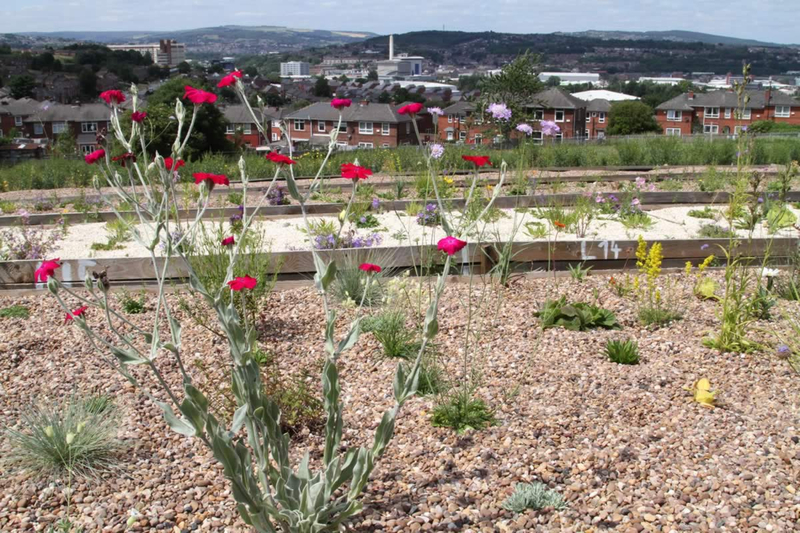 An initial 3-year strategy of transforming wasteland into vast inner city seed sown meadows started in 2004 and has continued to this day spreading from Sheffield to other northern cities. 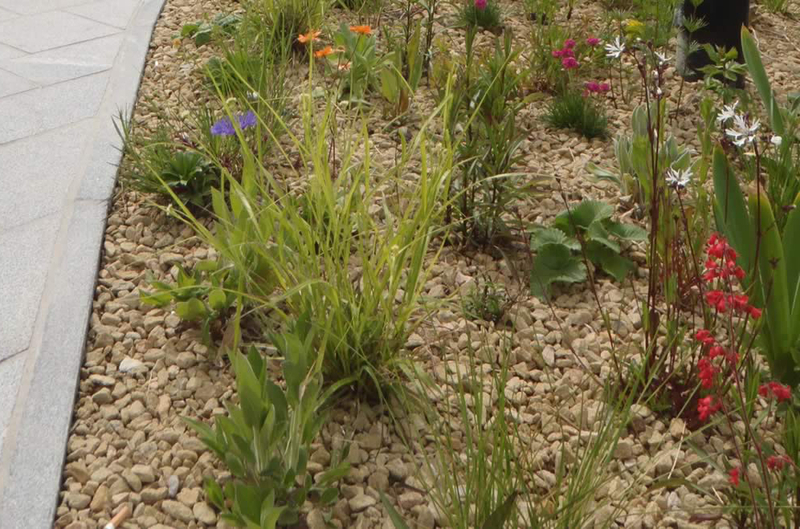 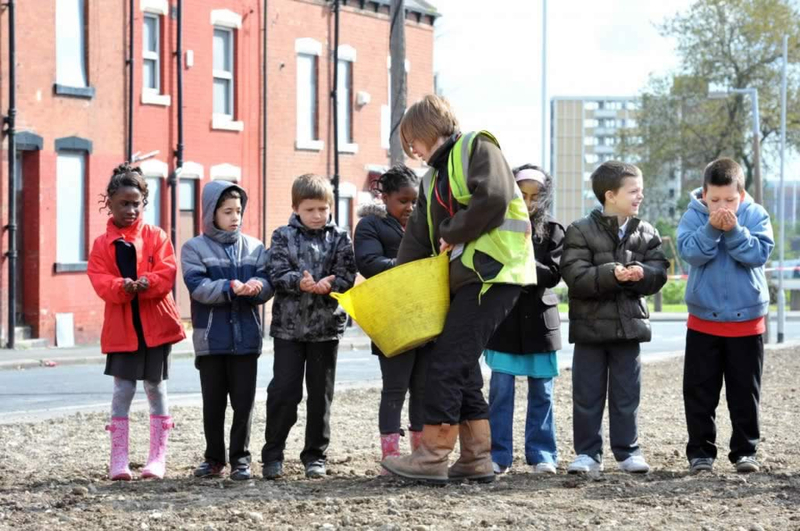 Local Schools and community groups were increasingly involved in the process of sowing annual seed and very quickly the neighbourhoods were transformed both in appearance and in terms of a marked reduction in antisocial behaviour. 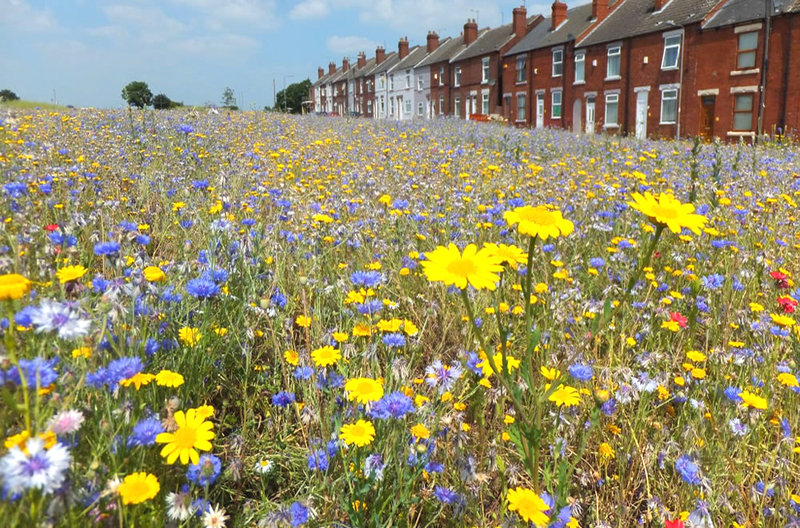 The programme proved to be a catalyst for other local authorities wishing to undertake similar improvement schemes so Pictorial Meadows have now been involved with Bolton and Leeds housing authorities to great effect. 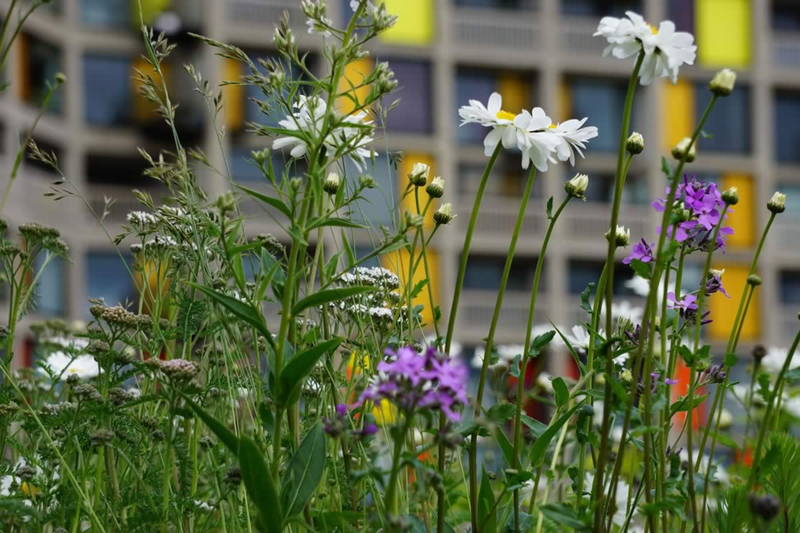 We would love to hear from any other Local Authorities, Councils or Housing Associations that would like our help and expertise to convert derelict sites into beautiful urban meadows. 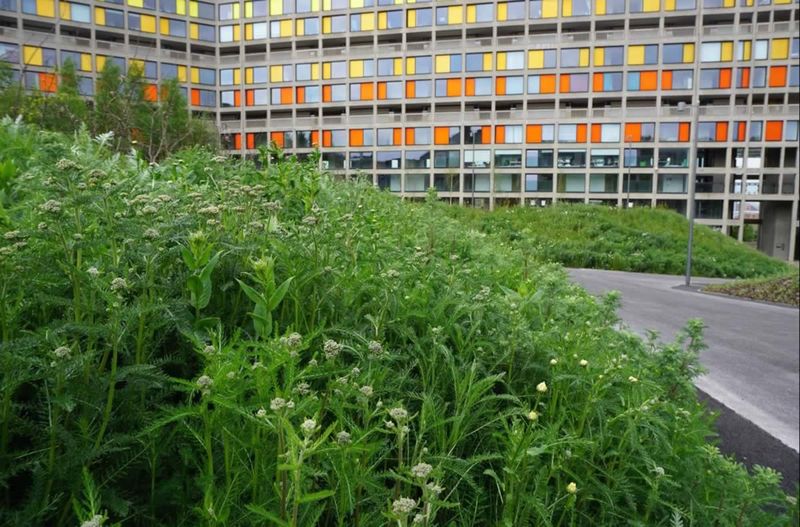 Its always a pleasure to be involved in ambitious schemes right on our doorstep and when innovative developers, Urban Splash, took over the redevelopment of these troubled but listed homes back in the early 2000’s we knew that we’d eventually see a landscape as ambitious as the wider project itself. 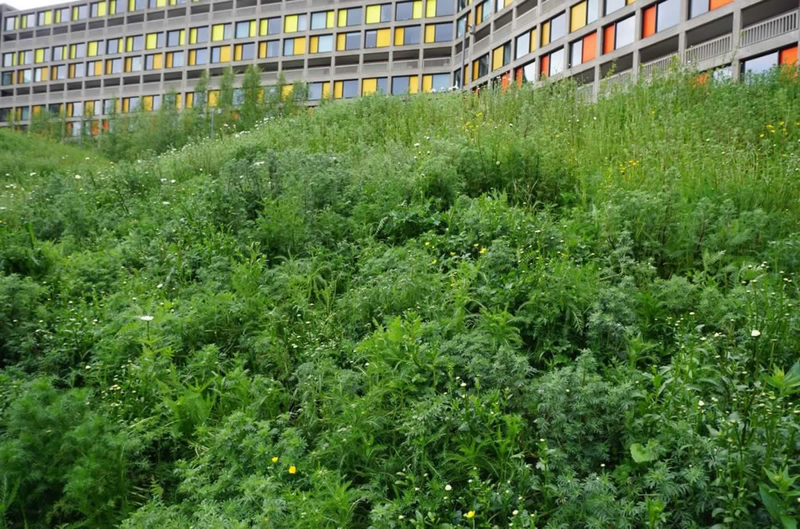 A range of approaches to naturalistic landscape have been taken and like the buildings themselves, delivered in phases. 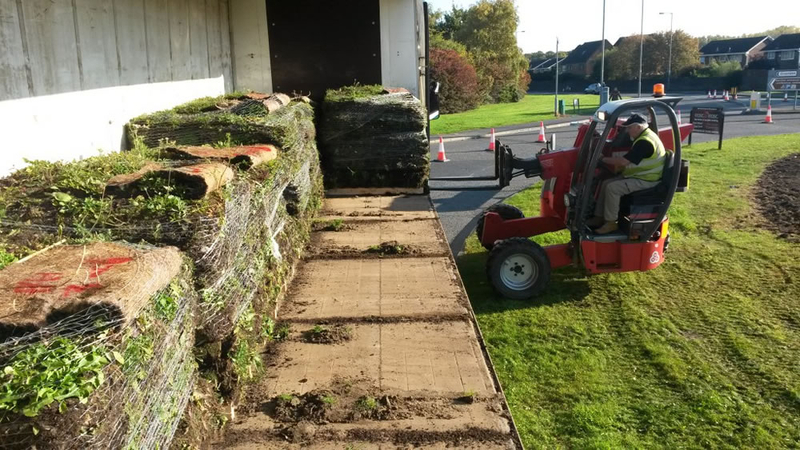 Landscape Architect, Tim Osborne, was looking for a solution for the steep banks and a combination of our PASS 100 compost for planting and pre grown Purple Haze and Golden Summer turf laid over rubble and subsoil banks seems to being doing the trick. 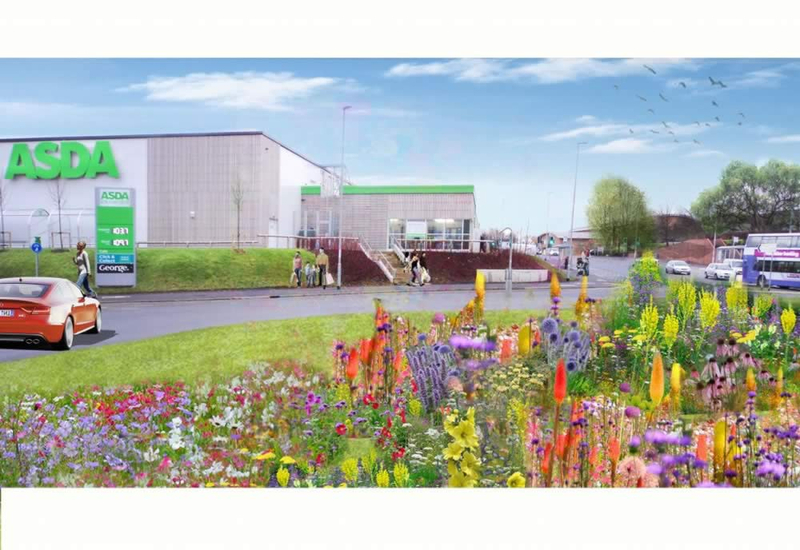 The contractors were English Landscapes.